This week V-COMM Telecommunications Engineering launched its new website. I’ve been privileged to work with V-COMM since 2007 and was thrilled when they asked me to develop their new responsive website. The new site not only streamlined the design but the content and flow as well—this site directs the visitor to what they’re looking for quickly—no rambling pages here! Just in time for Spring! 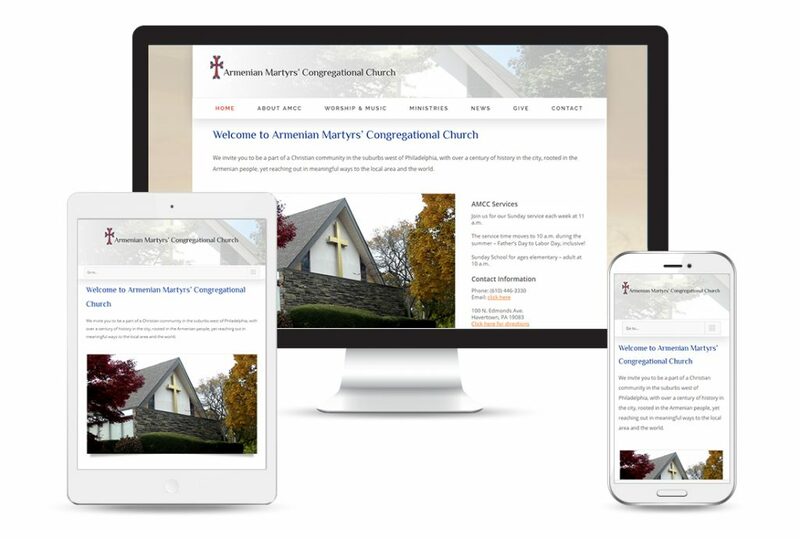 The new Armenian Martyrs’ Congregational Church website was launched this past week. The group was referred to me by a congregation member who I worked with many years ago on a website for a local organization in Conestoga, PA. I was thrilled that after many years they remembered working with me and wanted to work together again. 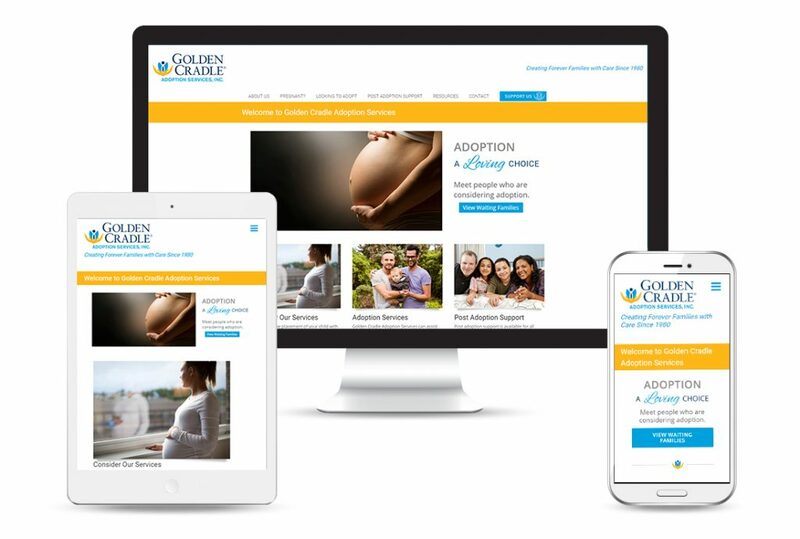 The new website is a simple reflection of the work they are so committed to. AMCC is a wonderful group of people who give back to the local and extended community in many ways. They started a site on their own a few years ago, but because of time constraints of the volunteers, the project was never completed. A simple, easy-to-update website was a must and one time-saving feature is the inclusion of news and photo albums from their Facebook account. 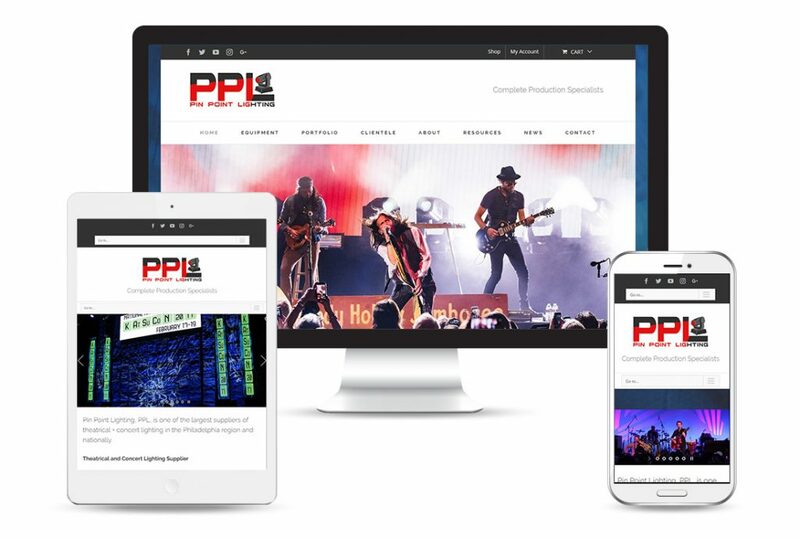 In 2017 Pin Point Lighting launched a new website along with an extensive online store including consumables, connectors, and an online gel store. PPL is also active as a dealer for all of ESP’s products – from beam clamps to truss picks to custom tv mounts. Pin Point Lighting is one of the largest suppliers of theatrical and concert lighting in the Philadelphia region and nationally. They have provided lighting and design to the Opera Philadelphia, the Philadelphia Orchestra, the Pennsylvania Ballet, Katsucon 2017, Peach Music Festival, The Bacon Brothers, Green Day, Twenty One Pilots, and more.